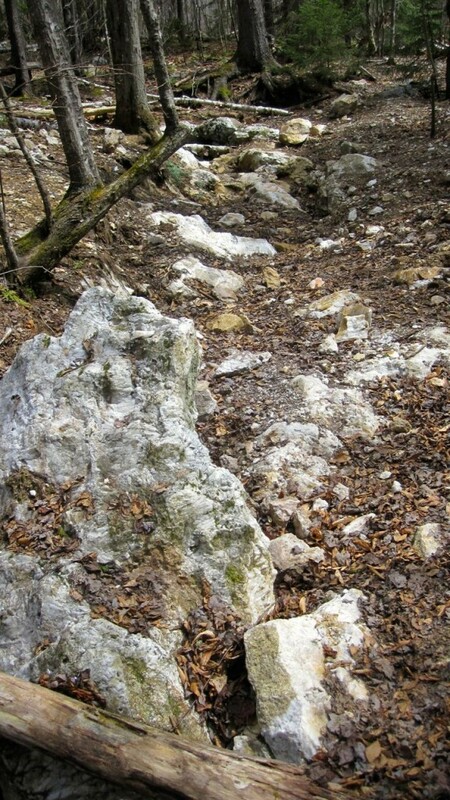 A Trail to the Crystal Mine? 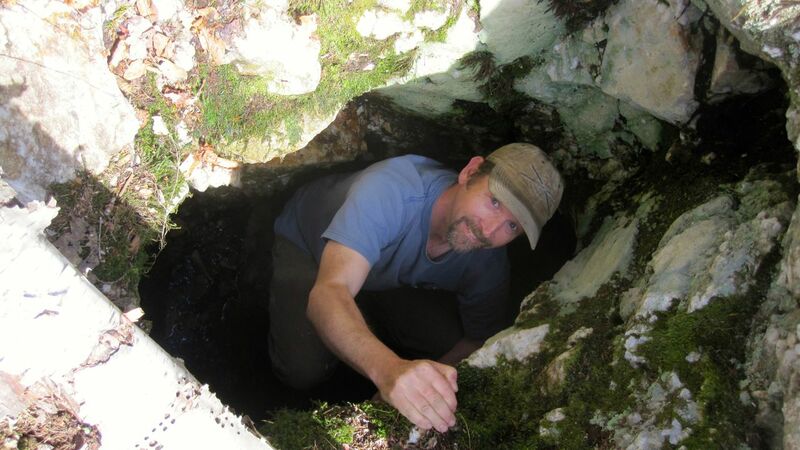 As part of the Randolph Community Forest Commission’s work, the Commission is exploring the possibility of creating a hiking trail to the mine, which is a designated town natural area. 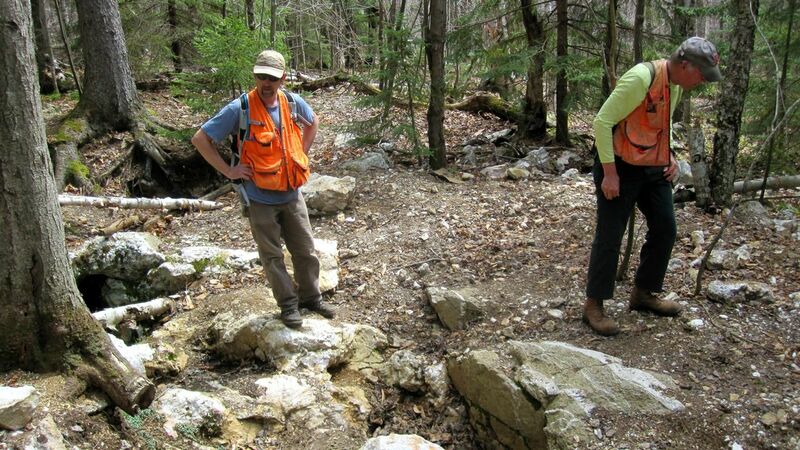 The trail would likely access the mine either from US Route 2 at the former Farrar residence, or from the Forest’s Walker Road, which begins at the Bowman height of land, also along Route 2. Carl Demrow, of Seven Oaks Consulting, walked the route earlier in May. Many in Randolph know Carl, as he designed the Four Soldiers and Underhill Paths, about a decade ago. He is a former AMC White Mountain Trails Supervisor, and during Carl’s tenure, management for Randolph’s historic Lowe’s Path passed from AMC to RMC. 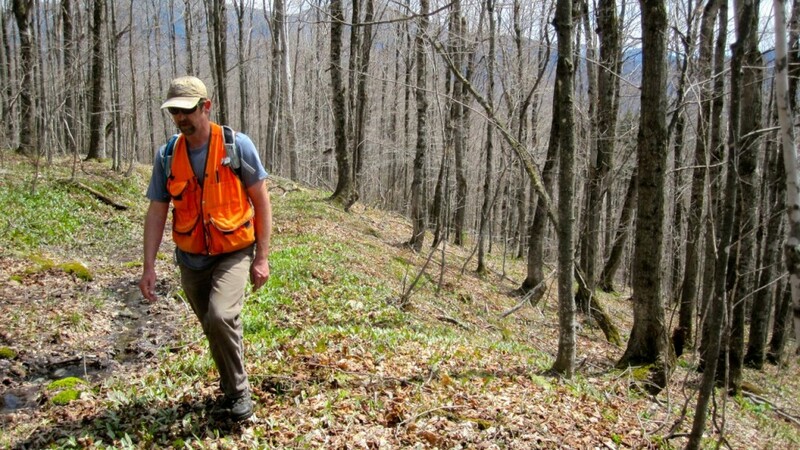 His trails design and consulting company is based in West Topsham, Vermont. Carl was joined by Randolph Community Forest Forester Walt Winturri, and Forest Commission member Doug Mayer. We’ll keep you posted as our thinking on this project develops. In the mean time, if you have suggestions or thoughts, please drop us a note. Heading towards the mine, along an old woods road. Carl and Walt at the mine. For safety, some of the mine has been backfilled. Going down! Carl in the mine.